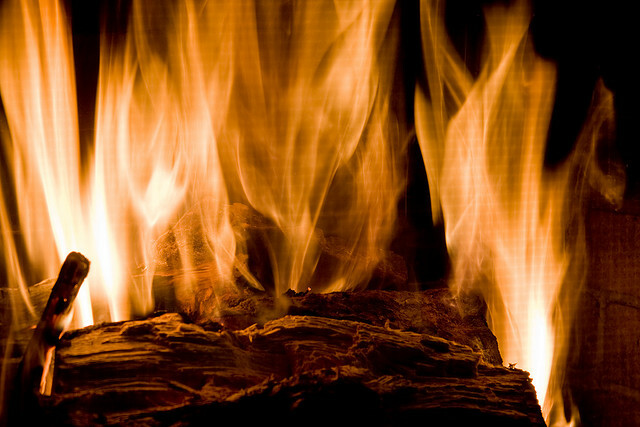 As you might expect from the lateness of this post, I’m currently suffering from a bit of the dreaded WoW burnout. This comes a little bit of a surprise to myself in fact, because these kinds of things usually happen at the mid-end patch cycle, not barely a month into it – especially the final tier of an expansion when it’s going to be the longest tier of the expansion. I’ve far from quit raiding or doing my daily professions, but all the other things I did ingame, I’ve found myself struggling to motivate myself to do. What’s caused it? 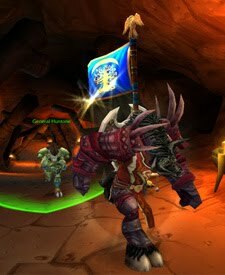 Possibly a number of things: Firstly, I never really got the burnout from the end of ToT, and I’ve found myself needing these times away from WoW to be able to enjoy playing the game in the long run. With the new guild and all the fantastic people I’ve met through there, I never really wanted to drop the game outside of raiding, as I was forging many new friendships that are likely going to last a few years (hopefully). Even though we weren’t officially raiding the last few weeks of the patch, and I could have gone to play some Dota or Civ V or other games I have in my Steam library, I found myself wanting to be in WoW. Perhaps that burnout I needed has transgressed over to now, once all the new patch hype has gone down. Another reason for my particular burnout is that I’ve recently reached one of my milestones that I’ve been aiming to get for a portion of this expansion: I finally reached my 20k achievement point milestone (which, on a quiet server like Nagrand, also means top on achievement points)! With that out of the way, I look through my achievements list and think “Do I aim for 21k? Maybe that’s too low for another target milestone?” or aim for the missing metas such as Battlemaster or Khan, as well as finishing off Dark Animus heroic to get my Skyscreamer – perhaps even pushing for Flex achievement runs for SoO Glory? It’s certainly an aspect of the game that’s kept me playing outside of raid hours in my search for more achievements to farm for. But now I’m 50k richer from my race to 20k, I no longer find myself really motivated to grab those extra achievements – server-wise I’m the head of the dog by a small margin (around 110pts) so keeping ahead of the competition will be a minigame for me, but other than that, the achievement game is done for me, for now. I previously wrote an article about the TImeless Isle, and it’s safe to say that I’ve spent my time there poorly in these first few weeks of the patch. As the main thing to do if you don’t do PvP in this patch, and you have to wait around to do raiding in the evenings, I may or may not have spent long enough there now to only really log in to do my 20 elite kills per day. I haven’t even grinded Shaohao reputation to exalted yet, which comes as a surprise to myself. I had fun grinding it with guildies, but once one of them hit exalted and suffered from Timeless burnout, I found that instead of killing the Yaungol elites for the daily like I should be doing for even more rep, I’m just killing Gulp Frogs with the 4 Timeless buffs and being done in less than 10mins. As a Moonkin, the Yaungol are just a PITA with barely being able to cast a single spell before having to move again. At least with a melee class I can generally keep a rotation going on the move! PvP hasn’t really interested me too much with this patch. I don’t know why, but with arena’s “The Crowd Chooses You!” buff, which I was initially quite happy for, it seems that there are some comps that, if they can’t kill you in the first 30secs, will just turtle effectively for 15mins, making sure that every 3mins they get you lower than you can get them. The 15% damage reduction Moonkins lost has certainly been felt, and I’m definitely sticking to Resto in PvP this season, but with that buff in arenas, I just dread seeing Priest/Warrior combos, amongst many others. I haven’t really found a team for 3s yet, and haven’t had much time to find an RBG team. I know I can do both arena and RBGs cross server and technically I’m still able to do PvP with them, but the realm divide still makes people prefer same-server groups. Well that, and I’m a bit poo in PvP, and haven’t caught up with S14 items like a good Druid should have. 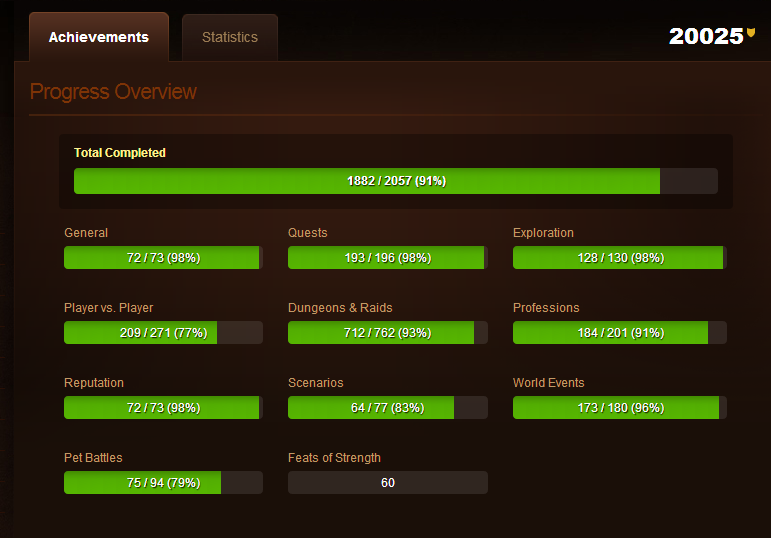 So yeah, the WoW burnout has affected my motivation to even do PvP, even though I’ve barely touched it in weeks! 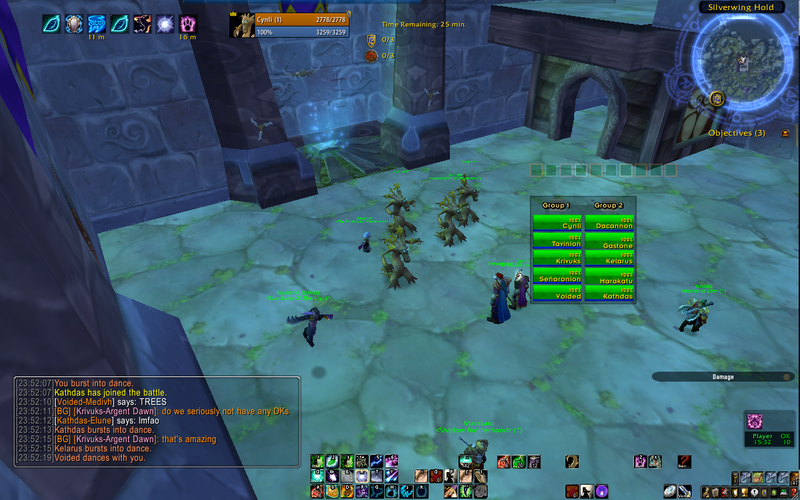 I’ll be waiting a little longer for my Gorgeous, Battlemaster and Khan titles in random BGs it seems. So now, with the WoW burnout, I’ve decided to pace myself a lot more, and I’ve found myself to largely be a raid logger for now until I gain interest in the non-raiding side of the game again. I’m still playing with guildies – there’s a small group of us playing Terraria at the moment and getting grips with the game before the 1.2 update arrives. At first, I was a little dubious of my enjoyment of the game, being told it was a little bit like Minecraft with more focus on the creatures you’re killing. Then barely a few hours into the game and we’re suddenly going across corruption straight into a dungeon while I’m still kicking around in copper armour, an iron sword and 100 health made for a lot of deaths. Now however, with power levels over 9000, we’ve unlocked hardmode and it is a fair bit more fun, with a healthy dosage of trolling along the side too! 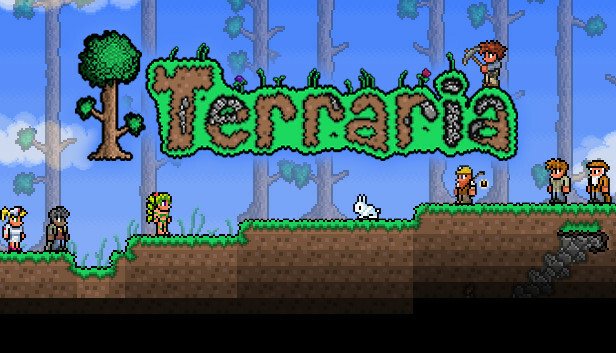 I’ve still been tempted to go to my other burnout games, such as Dota 2 and Civ V, but as always I ultimately play where my friends are at, so Terraria is the top option for me at the moment! How do you guys deal with burnout? Do you detect it early and pace yourself before total burnout happens and you can’t find yourself launching the game any more? Or do you not really suffer from burnout from WoW in any case, happily content with the way you pace yourself ingame anyway? Have a good week, and apologies for the late post today – I kind of found myself with many topics to write about, but none with the motivation to write an article about. Oops. I figured I’d write down some of the “tactics” that I had picked up from spamming battlegrounds recently. I know what you’re thinking… I shouldn’t be doing any kind of tactics unless I’m regurgitating them from bosskillers or wowhead, and that should only be in a PvE environment. Either that, or the fact that you can’t actually put straight tactics in a PvP environment. The lure to PvP is that every fight is different, for the most part. You aren’t up again scripted bosses that are programmed to giggle when you tickle their balls. When you try to tickle an orc’s balls, you have no idea as to whether or not he’ll giggle, scream like a little girl, try to cleave you in two, just stand there being AFK or have 5 or 6 buddies come right up behind you out of nowhere and blast you to kingdom come. PvP is exciting! PvP is unpredictable! PvP therefore should have no tactics! I should not be writing this thread! Everything should make a mockery of me for even thinking it! I should be locked in a loony bin and offered random words of jibberish in return for food! Or is it the other way round? Doesn’t matter. Let the insanity of the tactics for Warsong Gulch commence! First, the objectives and how to win in the BG. All you need to do is run the length of the map 6 times, of which 3 of those times you need to be holding a flag. You also have the help of 9 other people to help you. Sounds easy enough, so let’s make it a little more challenging. You’re also up against 10 opponents, who will try to make those 6 lengths of the map take as long as possible. And then to add a bit more salt, you can only score your flag when your opponents don’t have your flag in their possession. The game does now last a maximum of 25mins however, and generally whoever has more flags wins. In the case of a tie, whoever scored the last flag wins. In 0-0, it’s a tie. But whoever scores 3 flags first can make this 25 minutes a lot shorter, so in this society of WoW, we try to make it as fast as possible so we can get on with our next BG. 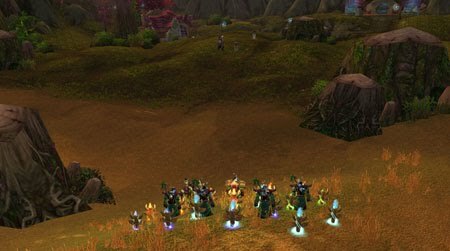 WSG: Warsong Gulch, the BG you’re in. FC: Flag Carrier, the person carrying the enemy flag. Tun: The tunnel that leads straight from the midfield into the heart of your base/to the roof. GY: The place you spawn at when you die. Looking at the base, it is situated to the left of the tunnel entrance. Ramp: The sloped area of land, providing access to the GY, first floor and second floor of the base. It is situated to the right of the tunnel entrance. FR: Flagroom. First floor (ground floor to non-US) of the base. Balcony: Second floor of the base (first floor to non-US). Roof: Top floor of the base. It’s the start of the match, you’ve got over a minute to prepare for the next 25. You can’t move out into the field until the gates lift after preparation. Everything you cast is free of charge (minus the reagent cost, if any), so what do you do? Spam your AoEs. If you can buff players, you should be buffing everyone you can while the gates are still closed. If you are a mage or warlock, create food tables and health stones for other players. If you are the leader, attempt to come to some form of agreement as to the tactics / strategies to be used. Pick a flag runner (or two) so that everyone knows who it is. This should either be a druid or rogue for speed, or a solid tank class (druid, paladin, warrior, death knight) for survivability. You’d be amazed at how just spending that quick minute will do to the rest of the match. The first punch will make a big hole if you’re buffed up, and instead of a mad scramble to the flag, with healers not knowing who to prioritise healing on, it can turn into chaos. Trap the enemy into a confined area with minimal use of your own forces. Essentially, controlling the middle means to let your own FC have a clean uninterrupted run from their base to yours. It can be very difficult to implement, but once you keep all 10 of them trapped at their graveyard, it’s a sure-fire win. The only trouble in the maintenance would be stealthing classes, ones that manage to sneak away anyway, or when the full force of 10 opponents against your 7-9 becomes quite apparent. One thing’s for sure though. For the love of god, please do NOT try and be the solo-hero, 9 times out of 10 you will fail if you leap into a group of opponents on your own. If you’re smart, you might be able to pull off snare tactics or hide with their flag when you’re the only one in their half of the field, but don’t try anything until you know you can get backup soon. It’s easier to punch with your fist than with one finger at a time, after all. 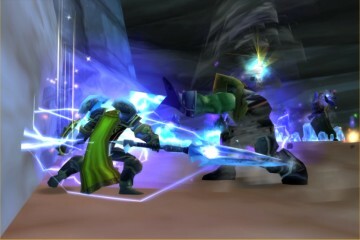 Death Knight: Death Gripping melee away, or interrupting casts. Druid (Balance): Cyclone anyone with half a clue that’s beating on your FC, otherwise a healer – treant roots are also excellent for rooting EFCs. Druid (Feral): Keeping on a healer means you can slow them down with Infected Wounds, and you can interrupt heals too. Hunter: Snare traps, very nice burst. Mage: Frostbolt has a snare linked with it, for non-frosties… Frost Nova! Monk: Plenty of disables and stuns for all three specs here. Paladin (Holy): You’re built to heal, might as well have fun with it. Paladin (Protection): Hand of Sacrifice/Freedom/Protection(not on the flag carrier though!). Priest (Healing): You specced for healing, you must have wanted to heal, right? Rogue: Crippling Poison + Fan of Knives. Shaman (Restoration): As with the other healing classes, you can chuck heals out too. Warlock: Shadowfury. Nice and annoying stun that grates into my bones every time. Warrior (Protection): You have a whole load of stuns available to you, like the other tanks you’re not completely helpless if you’re not carrying the flag yourself. One thing they can all do in addition to the above: Just plain DPS the people hitting on your FC, or DPS the people healing the people who are hitting your FC. So what about the attack itself? You can do this in a number of ways, depending on how the opposing force attack and defend. 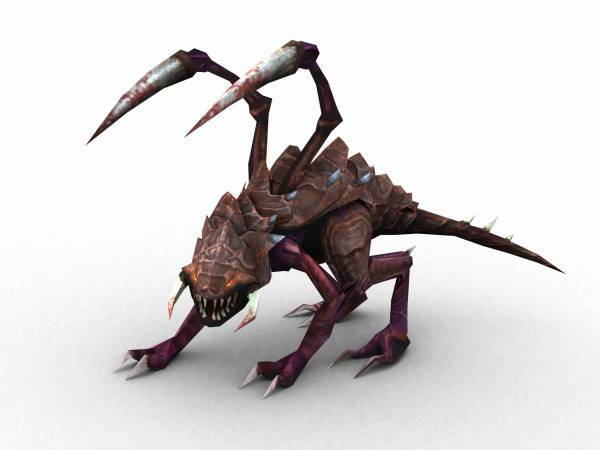 Usually, you’ll find people on a full offensive, or Zerg, sending out all 10 people to the other side of the map with little to no confrontation, taking the flag, and running back, hoping to intercept on the way back. This usually works best when you outgear/skill the opposing force. If you aren’t and they outgear/skill you, you’ll usually find you get a dead FC and the EFC happily runs to their base. If you’re of equal gear/skill, you might find one side gets lucky, or both FCs end up dead and the process starts again. A second tactic, the Sandwich, is similar to the full offensive, but instead of all 10 going out, you send around 7 out. This attack group consists of FC(s), healers and CC/DPS. The defensive group of around 3 takes on the task of either killing the EFC outright, or just snaring and preventing the opposition from getting back to their base swiftly, in hopes that the offensive team can sandwich them. The defending team should be able to work well together, and be comprised of people that either do well at burst damage, or do well at CCing. If the enemies get away from the defending team, they need to call out which direction the EFC is heading, and how many they have assisting them, so the attacking force can decide whether or not to sandwich. 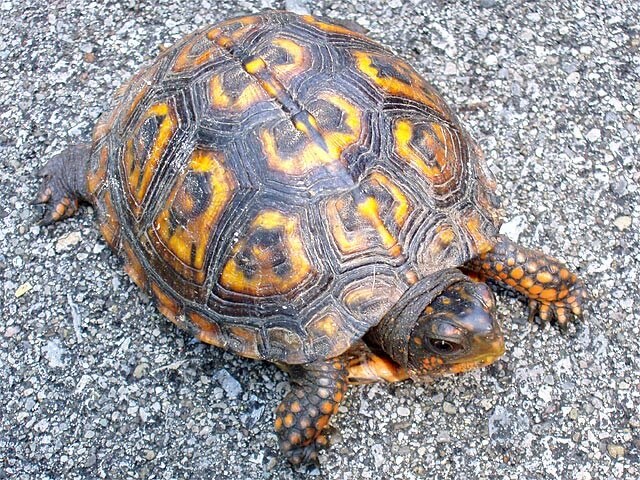 The third main tactic is known as the Turtle, and pretty much lasts the whole game. This tactic is generally used when you know your opposing team outgears/skills you. 8 people are defending inside the FR, with 2 people in offense or midfield. There’s not much to say here, 8 people should be able to keep their inside the FR, even if it is picked up. If not, the two people on the outside can intercept and bring it back. The two people down in the field can also be used to help tell the FR defenders from what direction to expect attack. This tactic is used to either force a draw, or to win by capturing the last flag. This can be a useful offensive tactic to use if you have a Druid healer and a tank as they’re a very mobile team with high survivability. In contrast to the last tactic, we also have the Turtle Breaker in which you’re up against a team who’ve decided you’re better than them. This means a highly defended FR and little chance of getting the flag out of it. But there is still chance! They’ve already decided you’re better than them, why not test it out to see if it’s because of sheer intelligence. If you’re a Priest/Warrior, you can run/jump/charge in and immediately scatter everything with AoE fears. Grab the flag and run for the exit of least resistance, together. If you’re a mage, Invisibility run in, grab the flag, blink out then freeze anything that tries to catch up with you. If you’re anything else you have two options: One is a distraction, the other is a relay race. The Distraction is to send one person or small group of people in to grab the flag, with the second team hiding out of sight. The first team grabs the flag and begins for the graveyard exit. If the first team manages to jump off the ledge, you’ve been successful (if you can make it back to base then it’s very successful, but it’s not the tactic we’re discussing here). All the defenders should follow the FC out of the room, and if/when the FC dies, the second team moves into the enemy FR. As soon as the flag is returned the second team takes it and runs for the ramp exit – if the first FC didn’t make it down the ledge, he needs to let the second team know so that they can switch to a tunnel exit. The Relay Race is similar to the distraction, however everyone goes in at once. One person drops the flag prematurely (before death) and before the opposition realise, someone else picks it back up again. The bonus to this is that usually the opposition will be too focused on killing the FC down and THEN be ready to take that flag. If the flag is dropped early, then it gives the next person a bit of time before the opposition start beating on them. This is obviously a risky strategy when the opponents are on the ball and manage to CC/fear everyone before the next FC takes the flag, or simply beats anyone else to it, and this tactic is really only to be used when everyone has some form of voice communication, so healers can switch targets, flag drops and pickups can be timed just right, etc. 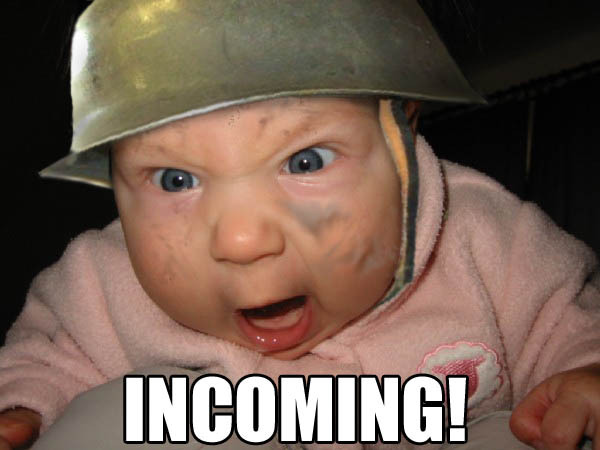 – Call incoming enemies (incs) as soon as you see them.Quantity and heading are essential. Calling should be done by anyone who sees enemies make a move for the FR. Valid calls are for example: “inc 2 tun”, “4 inc ramp”, “mass inc tun!! !11” and so on. – When an inc is called, see if you are in a position to help. You can do this by taking a look in the battle map and checking if there are enough defenders. If you are far in midfield or in the enemy’s fort, perhaps you should not bother rushing in though. If you die in midfield when an inc is called, do not resurrect and run off back into the midfield even if you are attacking. First help defence and then go back to the attack. – When your flag is taken, call the direction in which the EFC runs *immediately*. If you are the last to die defending, don’t release your spirit until you see where the EFC is going and call it. If you do release your spirit, or it is released for you, when you resurrect immediately take a peek from the GY towards the FR. If you don’t see any flag trail call tun, otherwise ramp/GY and act on it. – If both flags are taken, get at least a healer or a crowd-controller (CC) to stay with you. It increases your chance of survival by a long way. – Hide in a place where you are hard to find, or a place easily accessible from your GY. So that they have to first find you again. – If the match is in a stalemate with both flags taken, watch the battle map. Eventually it will show the location of the efc. It works the other way too, so when it happens get some added security since the enemy could be coming in force. So that the enemy won’t have an opportunity to pick it up again. Go back so that if capped, you are there already to prevent them retaking the flag immediately. Because it means you can see the FR, and you have easy routers to the ledge, GY, ramp and FR. Update: In order to implement our first Connected Realms, Boulderfist and Bloodscalp will be taken down for an extended maintenance beginning Wednesday, September 25, at 3:00 a.m. PDT until approximately 11:00 a.m. PDT. During this time these realms will be unavailable for play. Additional realm connections are planned for the near future, and we’ll be posting a full list at WorldofWarcraft.com as soon as we’ve finalized the details. Nethaera posted on the forums yesterday to give us a brief update on the status of connected realms, letting us know that the first two connected realms will happen today! 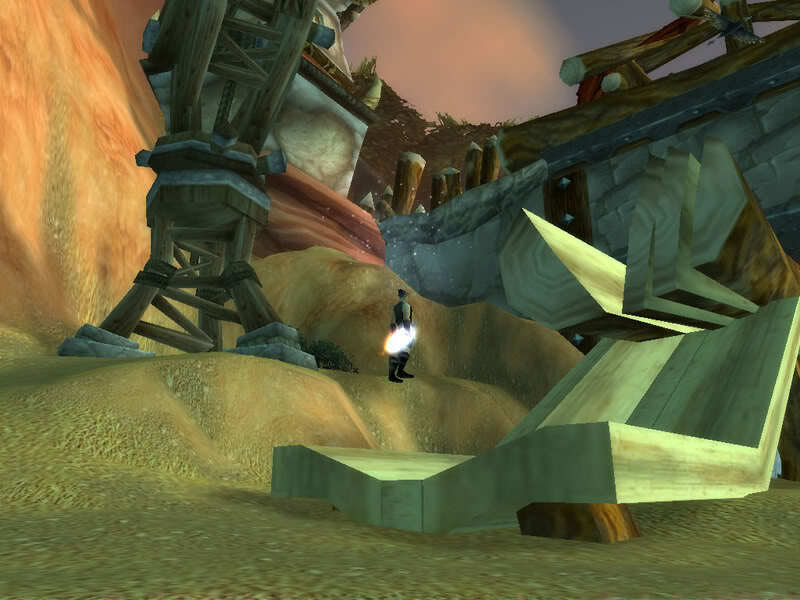 For those that haven’t been on the internet anywhere regarding WoW recently, connected realms are a new feature coming into WoW that will (as the name says on the tin) connect realms. This is to combat the crippling decline of server populations, and hopefully bring the life back into the game again, with regards to capital cities, the auction house and PUG runs in /2. It’s basically an improved version of CRZ’s that we have at the moment, apart from it will always be the same realm you’re linked with, so you can do things with these realms that CRZ’s are limited toward. First and foremost, this includes being able to see each other in Stormwind, Orgrimmar and Pandaria without having to get them to group with someone from your realm to get there. It also links the Auction Houses so that the supply of items should go up, which is a huge bane for some of us on quieter realms when suddenly you can’t find any Vermilion Onyx’s or other items to buy. Of course, demand will also go up, so the moneymakers among you will also be able to swindle some poor player out of far too much money than what they should have had in the first place. People on Connected Realms are also able to raid current content, and even join guilds without having to pay for a server transfer (but you have to be on the same realm list). Same data centers – so for us EU players realms on one of the Frankfurt data centers won’t be paired up with realms on one of the Paris centers. Faction balance will be taken into account, but we won’t see a 1:1 split A:H – Blizzard have purposefully allowed CR’s to be delayed into 5.4 to see what server populations are like when the new patch dropped, considering many people likely quit playing toward the end of ToT, and will try to balance things out slightly. All extremely exciting times for those of us on smaller realms. For the larger realms, I believe that they’re not going to be touched by this feature, so they have nothing to worry about. What do you guys think? Looking forward to the Connected Realms, or would you prefer to be hidden away on your own realm where you know everybody already? Is there any part of the CR’s that you’re especially looking forward to, or even ones that you’re not looking forward to?